Santa Clara County, California — California dog bite expert witness Dr. Richard H. Polsky recently advised the Plaintiff’s attorney in a dog attack case, netting the Plaintiff a $500,000 settlement. This settlement was offered prior to trial based in part upon this expert testimony. In the case of Murphy v. Chesley, case # 109CV157800 in the Superior Court of Santa Clara County, CA, Dr. Richard H. Polsky was retained by the Plaintiff’s attorney, Mark Millen, as a dog bite expert. Court documents show a German Shepherd attacked a man who was making repairs to the home at which the dog lived. The Plaintiff claimed the dog suddenly approached him and attacked his legs with no provocation. Additional court documents claim the dog also had a history of menacing neighborhood children. Under California dog bite law, the victim filed a lawsuit for damages, including punitive damages because court documents allege the dog was known to have attacked in the past. Medical documents submitted with the case show the Plaintiff sustained permanent neurological damage as a result of his injuries. Under dog bite laws in California, owners are required to have control of their animals at all time and extend protection to any invited visitors to their property. In this case, the Plaintiff alleged that the owners failed to do this, resulting in his injuries. Dr. Polsky advised the attorney for the Plaintiff after a thorough behavioral examination of the dog. 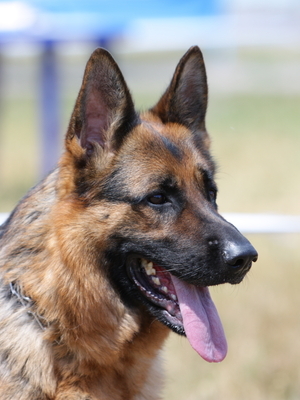 Dr. Polsky advised the Plaintiff’s attorney that the observed temperament and behavior of the animal was consisted with those of a German Shepherd as well as the documented history of the animal. Dr. Polsky’s advice about the dog attack in California lent support to the theory that the dog’s owners should have anticipated a possible attack upon the plaintiff. Under dog bite law in California , there is no “One Bite” exclusion; owners must be in control of their animals at all times. 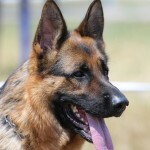 However, the fact that a dog has allegedly bitten or attacked in the past can be used to support a claim of negligence on the part of the owner if the dog bites again. Given the evidence and Dr. Polsky’s advice in this dog bite in California case, the defendants chose to settle the case for their insurance policy limits of $500,000 rather than go to trial.